The Chronicles of Narnia: The Lion, the Witch and the Wardrobe world premiere in London, England at the Kensington Gardens and Royal Albert Hall on December 7, 2005. The Chronicles of Narnia: The Lion, the Witch and the Wardrobe premiere in Tokyo, Japan at Nippon Budokan on February 16, 2006. The Chronicles of Narnia: Prince Caspian world premiere in New York City at the Ziegfield Theater on May 7, 2008. The Chronicles of Narnia: Prince Caspian premiere in Mexico City, Mexico on May 11, 2008. The Chronicles of Narnia: Prince Caspian premiere in Tokyo, Japan on May 20, 2008. The Chronicles of Narnia: Prince Caspian premiere in Taipei, Taiwan on May 22, 2008. 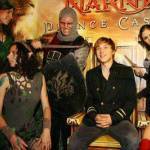 The Chronicles of Narnia: Prince Caspian premiere at The State Theater in Sydney, Australia on May 25, 2008. The Chronicles of Narnia: Prince Caspian premiere at Village Rivoli Cinema East Hawthorn in Melbourne, Australia on May 27, 2008. The Chronicles of Narnia: Prince Caspian premiere in Ramat Gan, Israel on June 2, 2008. The Chronicles of Narnia: Prince Caspian premiere in Prague, Czech Republic on June 17, 2008. The Chronicles of Narnia: Prince Caspian premiere in London, England at the O2 Dome on June 19, 2008. The Chronicles of Narnia: Prince Caspian premiere in Paris, France at the Disneyland Resort Paris in Marne la Vallee on June 20, 2008. The Chronicles of Narnia: Prince Caspian premiere in Madrid, Spain at the Capitol Cinema on June 30, 2008. 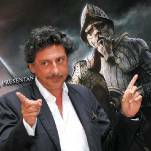 The Chronicles of Narnia: Prince Caspian photocall in Rome, Italy on July 21, 2008. The Chronicles of Narnia: Prince Caspian premiere in Kaltenberg, Germany on July 22, 2008. 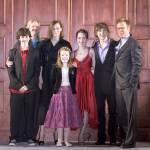 The Chronicles of Narnia: Prince Caspian premiere in Bovec, Slovenia on July 26, 2008.